Policaro Automotive Family's Oakville-backed 911 GT3 R took the checkered flag by 0.293 seconds over the runner-up Audi R8 LMS GT3. 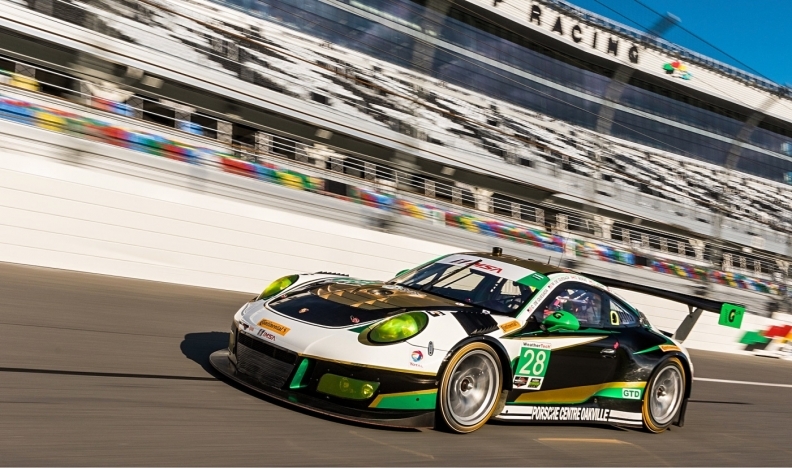 The Policaro Automotive Family’s newly-minted Motorsport Division couldn’t have made a better entry in top-level motor racing when its Porsche Centre Oakville-backed 911 GT3 R took a surprise win in the GTD class at the Rolex 24 at Daytona endurance race Jan. 29. The team’s Daytona GT class win was its first outing in a world-class event and it wasn’t among the early picks as a likely contender for victory. But the team’s low-key stealthy round-the-clock run ended with a final surge that took the checkered flag by 0.293 seconds over the runner-up Audi R8 LMS GT3. 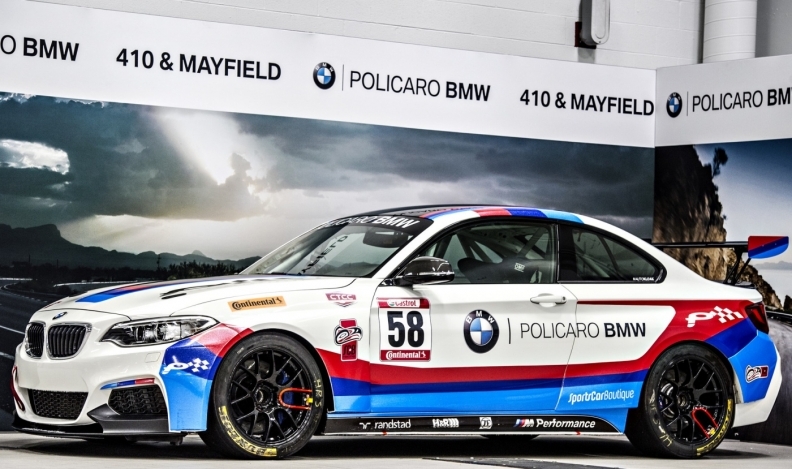 The Porsche Centre Oakville racing entry is but one element of the Policaro plan: Sports Car Boutique’s SCB Racing will also field a Policaro Motorsport-sponsored car, a BMW M235iR in the 2017 Canadian Touring Car Championship, ST Class. The Policaro Automotive Family includes seven franchises representing seven brands – Acura, BMW, Lexus, Porsche, Honda, Toyota and Harley-Davidson, scheduled to open in 2017. The group has been building and operating dealerships for almost four decades, its first ownership in 1979 when brothers Basil, Tony and Paul formed a partnership.